Hull City heads into this Saturday's FA Cup Final with their odds of winning set at 13-2 by the major British Bookmakers. With Arsenal looking at an incredible nine years without a trophy if they end up on the losing side, surely Arsene Wenger's side won't come up short again. I couldn't help this week but think back to a previous final between two top division clubs that featured even longer odds than that faced by Hull. Despite only six places separating them in the table, the 1988 FA Cup Final saw champions Liverpool take to the pitch at Wembley as 33-1 favourites over Wimbledon. Liverpool, on the back of a record breaking 29 match unbeaten run, romped to the title that season playing exhilarating football under manager Kenny Daglish. With the dynamic skills of John Barnes and Peter Beardsley providing the inspiration, John Aldridge supplying the goals, and Ray Houghton and Steve McMahon anchoring the midfield this side is often viewed as one of the best in the Anfield clubs storied history. 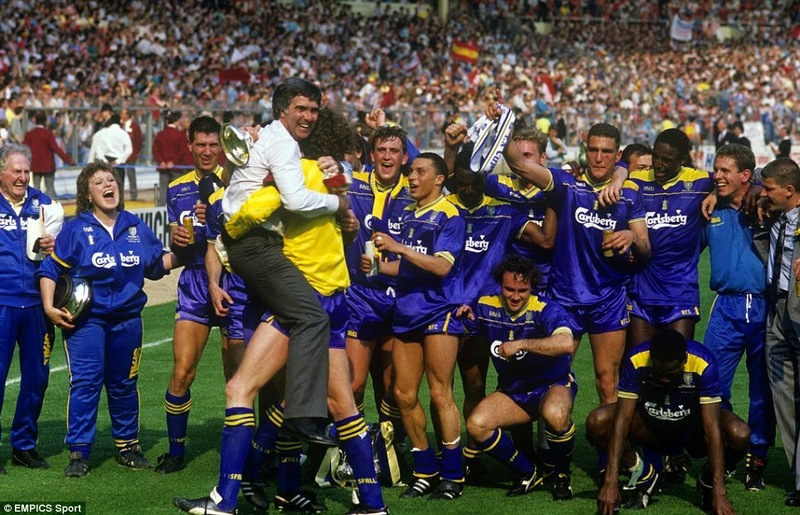 Facing them in the 108th FA Cup Final was Wimbledon's "Crazy Gang". Just over ten years before reaching the first, and at this point only, FA Cup Final in their history, Wimbledon had been a non-league side. Fighting their way up the English football pyramid, Wimbledon became known for their tough and direct style of play, and not to mention the wild pranks they played on each other. Lacking Liverpool's style and swagger, "The Dons" had an incredible team spirit and determination. As the two sides waited in the tunnel at the old Wembley, "The Crazy Gang" made good on their name as they made as much noise as possible in attempt to put Liverpool off their game. Just minutes after kickoff, Vinnie Jones the future Z-Grade actor, flew into a hard tackle on Steve McMahon which reduced him to a passenger for the rest of the match. With future Chelsea captain Denis Wise keeping John Barnes in check, Wimbledon took a surprise lead just before halftime with Lawrie Sanchez's looping header. After the break, Liverpool started to play their way into it and were awarded a penalty on the hour mark. As Aldridge stepped up to the spot he had history on his side. No one had ever missed a penalty in an FA Cup Final and it was fully expected that the prolific marksman would level the score. 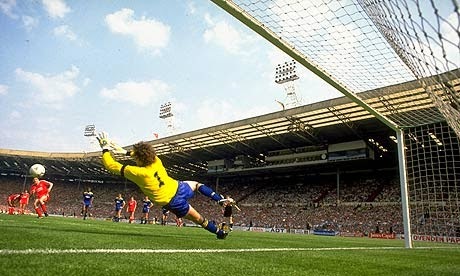 In the matches key moment, Wimbledon's Dave Beasant dove to his left and stopped Aldridge's penalty. Despite coming under further pressure in the remaining half hour, Wimbledon hung on to secure the finest moment in the clubs history. As the final whistle blew, BBC commentator John Motson yelled, "The Crazy Gang have beaten The Culture Club", and with that they secured one of the biggest upsets in FA Cup Final history.